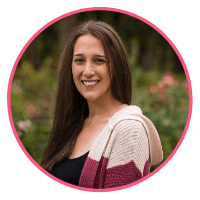 As you can tell, by the name of my blog, I am all about tacos! These Quinoa Tacos are some of the best I’ve ever made!! They were out of this world delicious!! 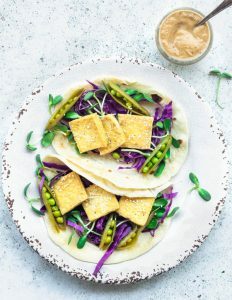 These Quinoa Tacos are vegan, and they are wholesome! I eat a predominantly vegetarian diet, with some seafood incorporated. I was a vegetarian for a lot of years, but when I got pregnant with my son I had some bad anemia, so I used to crave for steaks and baby back ribs! And today, in particular, I’m not eating a whole lot of those. But if the need strikes, I just might. I bake lots and lots of desserts, I’m sure you are aware of that, if you take a look at my blog. But that doesn’t mean I eat them all. For the most part, I follow a pretty healthy diet. But everyone deserves a slice of some GOOD cake sometimes! I love baking more than I love eating. And that’s why I have a blog of recipes. Plus, even more than baking and eating, I love sharing my baked goods, as well as I love sharing my recipes for them!! Which brings me to the message I want to share today. Just focus on your body, on improving your overall health. It takes daily practice, and probably years of it, to be able to do a drastic and everlasting change in your body and diet, through learning how to make better choices. It’s not always easy, but it’s worth it. Develop good eating habits, exercise constantly. Be kind to your body, to your soul. This is something that might be seen as cliche, because it gets said over and over again. But there’s a reason for that! The reason is that it’s TRUE! And you can only achieve those good habits, by practicing everyday. On top of it, it’s not that hard to eat healthy if you have tacos like this beautiful Quinoa Tacos!! I usually make the filling for this taco as a quinoa salad, with corn, black beans, and red pepper. It’s one of my meals in rotation at home, that I crave for every now and then. So, I’ve decided to make that delicious salad in the form of delicious tacos! The Jalapeño Sauce is out of this world!! All ingredients are simple, wholesome, healthy! And for my tortillas, I used my Sourdough Tortillas recipe. Check out my other tortilla recipes: Spinach Tortillas, and Flour Tortillas. And if you would like to see some more of my tacos, click here. These Quinoa Tacos are vegan. Arugula leaves on the bottom, black beans and corn right on top. Finished with the wonderful Jalapeño Sauce to be drizzled all over. Start by heating the olive oil in a small saucepan, over medium heat. Add onions, sauté until onions are translucent, about 2 minutes. Add garlic, cook for another minute. Add quinoa. Add spices such as cumin, paprika, salt, pepper, and you can add some chili powder, garlic powder, or anything else that fancies you. Pour warm water, or broth in the pan. Stir to combine. Cover with a lid, lower heat to low. Cook for about 15 minutes, until water has evaporated. Open the lid slightly after it’s done cooking. Add beans, corn, cilantro, and lime juice to the quinoa, stir to combine. Add salt or seasonings to taste. 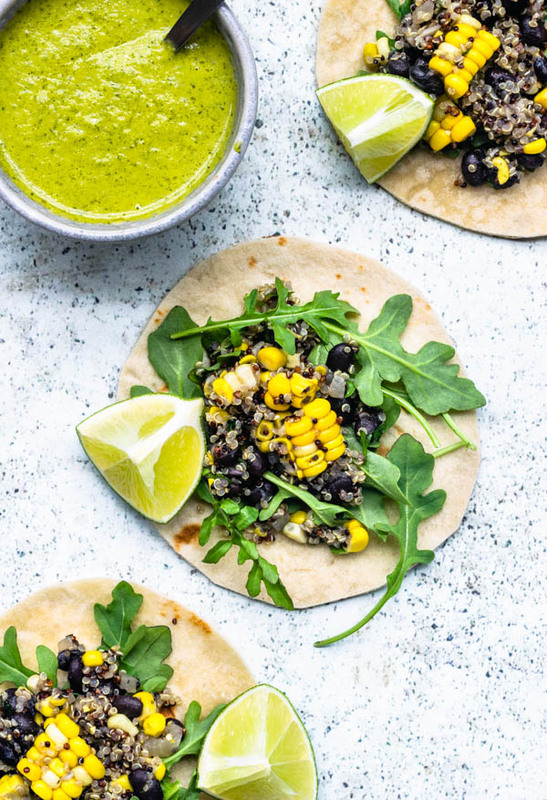 Serve warm, or even cold with tortillas, on top of some rocket. Drizzle some of the Jalapeño Sauce on top. Quinoa mixture will keep for up to 4 days in the fridge. Pre-heat oven to 350F. Line a baking sheet with some parchment paper. Drizzle some olive oil on top of the parchment. Cut jalapeño peppers in half lengthwise. Scoop out seeds and membrane. If you would like your sauce to be very hot, you may keep the peppers whole, without de-seeding them. Place peppers on top of oiled parchment. Roast for about 20-30 minutes, until peppers are slightly browned. Remove from oven. Let them cool down. Place jalapeno, onions, lime juice, and cilantro, in the bowl of a small blender. Drizzle olive oil in slowly while the blender is running. Mixture should emulsify and become creamy. Sauce will keep for 2 days in the fridge. Heat up your tortillas, lay arugula on the bottom, place quinoa mixture on top, spoon sauce over filling. I know it’s not Tuesday, but can we make Taco Friday a thing because these look awesome and I need them in my life ASAP!! 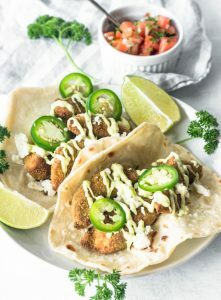 These tacos sound so flavorful! 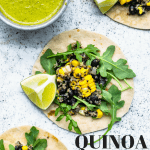 I love the combination of quinoa with corn and black beans — these are packed with protein too! 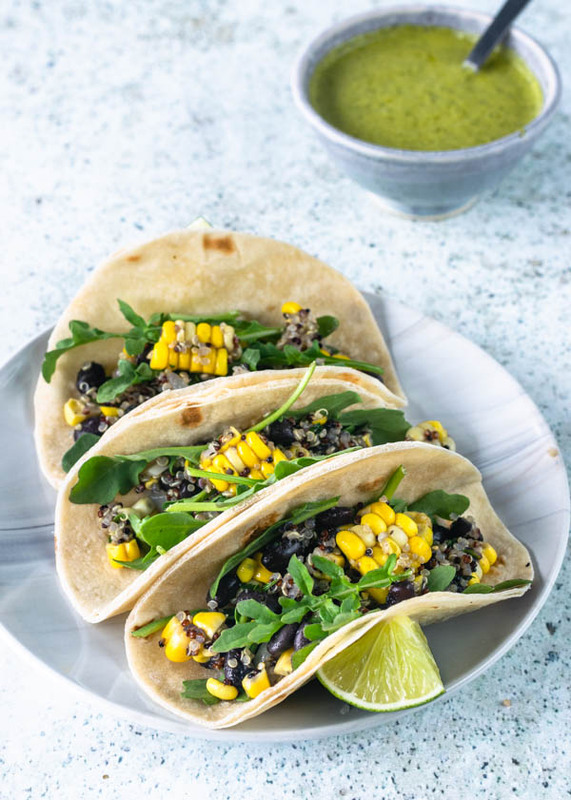 I love a good veggie tacos and these quinoa tacos look so amazing! Definitely trying this! Thank you so much!! I love me some veggie tacos too!! Your photos are gorgeous! These sound so yummy. What a creative idea!! I never thought about putting quinoa in tacos before! We’ll have to try this out on our next taco night! You absolutely should try some quinoa tacos!! They are delicious! I recommend!! These look so light and fresh – perfect for summer! Love the idea of corn quinoa tacos, I love all of the ingredients used so it must be very delicious! Thanks Diana! These quinoa tacos are delicious!! These look amazing! 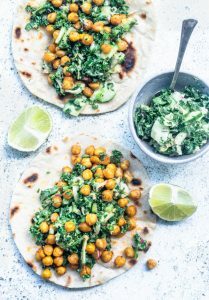 I’m always looking for new meatless Monday ideas – these look like a winner. Thanks for sharing. I agree. 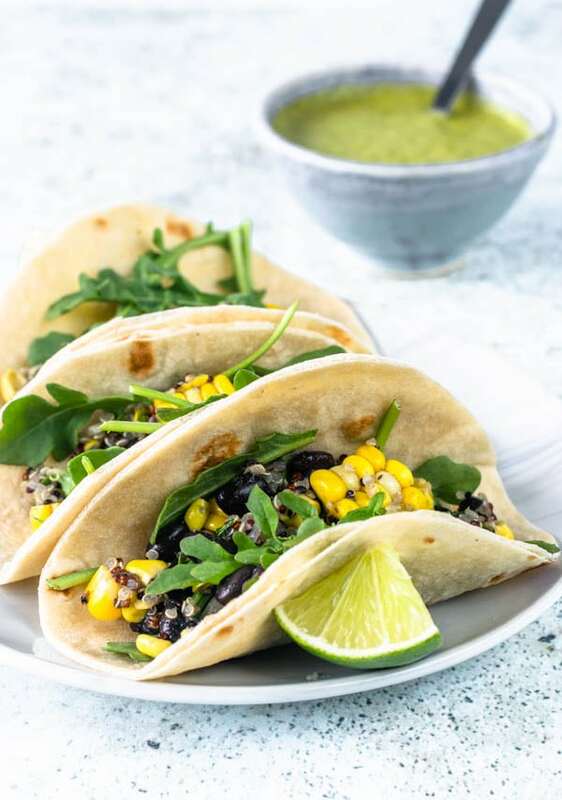 and these quinoa tacos are very healthy too! Thank you!! Looks like the perfect summer meal to have out on the deck. That Jalapeño Sauce sounds delicious! The jalapeño sauce really was a winner! !